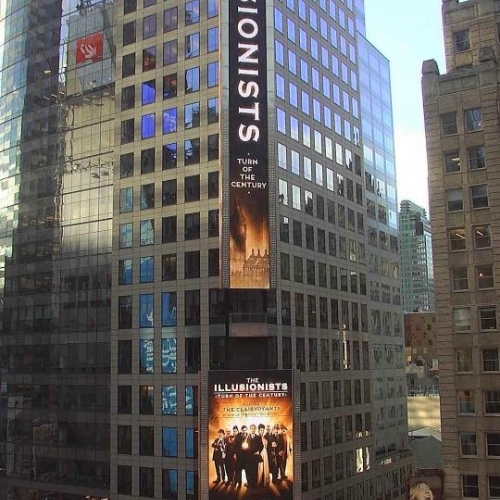 The Illusionists 1903 heading to Broadway. "The Illusionists" is coming back to Broadway for a new holiday show — and this time they're bringing a time machine. Eight magicians — including, for the first time, a female contingent — will be part of a show celebrating the tricks and mood of the Golden Age of Magic, from 1903 to 1927. "Magic back then was smarter, a little darker. Magicians took their time. There was just a little bit more mystery and certain grandness to it," said Mark "The Showman" Kalin, who once made a jumbo jet disappear in Nevada. 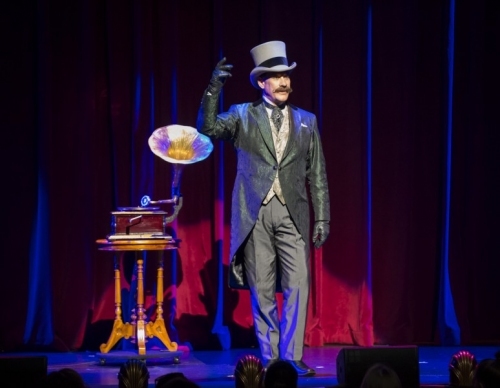 "The Illusionists — Turn of the Century" will start performances at the Lunt-Fontanne Theater in November, promising levitation, card tricks and death-defying escapes and costumes true to the era. "Really, all magic that we know today is stage magic that did start at that time," said Simon Painter, the show's creative producer. "I just thought it would be an amazing thing to really go back there and do it and do it properly." The lineup will be Rick Thomas ("The Immortal"), Justo Thaus ("The Grand Carlini"), Jonathan Goodwin ("The Daredevil"), Charlie Frye ("The Eccentric"), Dana Daniels ("The Charlatan"), Thommy Ten and Amélie van Tass ("The Clairvoyants"), Jinger Leigh ("The Conjuress") and her husband, Kalin. The Golden Age of Magic — as the films "The Prestige" or "The Illusionist" proved — was a time when magic went from the streets to the stage. "Magicians were really the rock stars of the day," Kalin said. The new show will tip its hat to the era's most famous guy with nothing up his sleeve — Harry Houdini — as well as reacquaint audiences with lost tricks from the past, like the Okito floating ball, in which a ball hovers about the stage. "We have utilized the exact same technology used at that time to replicate it onstage. There was no need to go any further. It was brilliant back then — an amazing mystery — and remains so today," Kalin said.